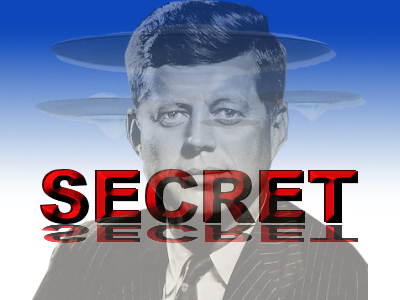 assassinated president had seen government evidence of aliens and UFOs. The man, who ... is seen speaking to camera about a conversation with the president. The man, who is not named in the clip ... says the president asked him what he thought, so he threw the question back at JFK. He claimed JFK replied: "You're right young man, there is considerable knowledge as far as the being of UFOs and the ET phenomenon that we are aware of today." Unacknowledged claims to expose years of coverups within the US government over the alleged truth of alien visitations of Earth being kept hidden from the public.